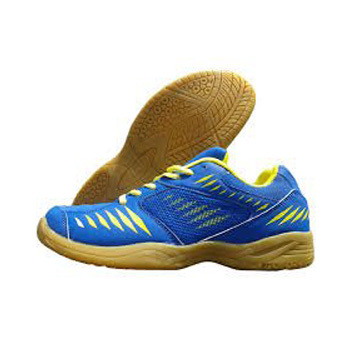 Nivia super Court Volleyball Shoes with latest design is made for advance Volleyball players. Its new look and 2014 design will give you all together a different look on Volleyball court. It is available in Blue and Yellow Color with attractive shoe graphics. This Nivia Volleyball shoes is equipped with upgraded non marking rubber sole which gives improved traction force helps in quick court covering. Shoe in sole fitting is designed to help in perfect shoe fitting for better performance while inner shoe mesh will helps in proper ventilation.